In Oracle Bpel 10g we had the functionality to add preferences to your bpel process. By adding the next xml to the bpel.xml file we could get the value as variable into our process and change the value from the console. In the new Oracle SOA 11g things changed a little but. Like Marc already described in his blog we now need to add the preferences to the composite.xml of our Composite Application. Now we can use the function ora:getPreference(myPref) in our bpel process to retrieve the value of the preference. Watch the naming convention. It expects it to start with “bpel.preference”. Create the composite application and deploy it. We only added an assign to the flow which will get assign the value of the preference to the outputVariable. Run the bpel and check if the value of ‘MyCurrentValue’ is in the outputVariable. In Oracle SOA Suite 10g we could change the value of the preferences from the bpel console. In Oracle SOA Suite 11g things changed a but, we got a new fancy console to manage all the components. To change to values from the prefences go to the ‘Enterprise Manager’ (http://localhost:7001/em). 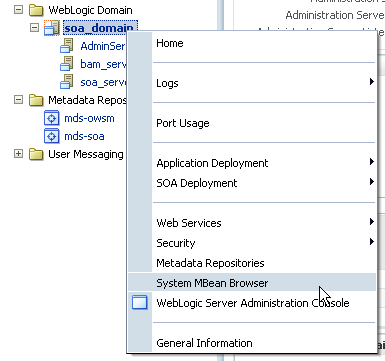 Farm_soa_domain > Weblogic Domain > soa_domain > right mouseclick and select ‘System MBean Browser’. Navigate to Application Defined MBeans > oracle.soa.config > Server : soa_server1 > SCAComposite > your_project > SCAComposite.SCAComponent > your bpel_process. Change the value of our preference and click apply. After clicking ‘Apply’ click ‘Return’. If you now restart the service the changed value of your preference with still be there. Run the bpel again to see if the new value got used in the process. This was very helpful to me. I had an SR open with oracle support for over a month and they never did figure this out. Thanks for the solution! And to set the value of preference in the BPEL process? Hm i don’t think you can from within the bpel itself. I think it is possible to customize the BPEL Functions within ExpressionBuilder, and so to create a setPreference as the getPreference code. I am trying to use preferences in 10.1.3.5 to store an email address. The address needs to be changed using a deployment plan but it won’t work. Is there a function similar to ora:getPreference() that will get the “Email_To2” property from the ?? In the bpel.xml below, I can change the “Email_To2” value using the deployment plan but can’t get to it from the bpel code. I can get to the “Email_To” value in the bpel code but can’t change the value in the deployment plan. 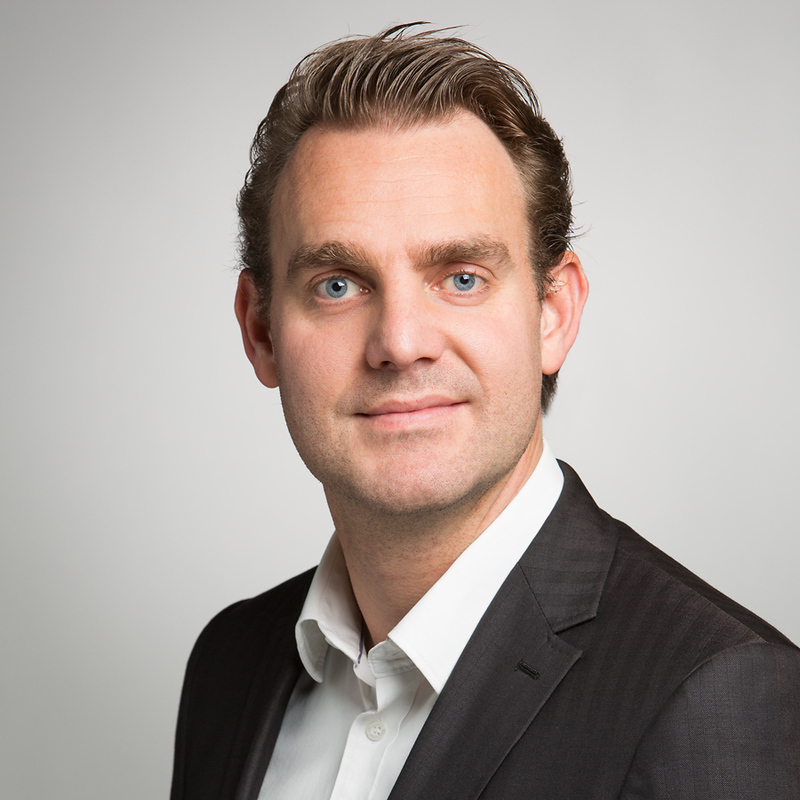 Are you retrieving the property from within your bpel process the correct way? The definition of the property looks ok, so the getPreference function should work. Can you paste the bpel code from which you do the get ? This perfectly work in Single node environment. By any chance do you know where to check these properties on EM for Cluster enviroment? I updated the blog with the * Addition part. I hope it’s clear now how to persist the preferences. Good luck! Your solution is amazing. Persistent saving is working in cluster level. Thx for useful post.Currently I am using 11.1.1.5 I tried to change the preference value in Attribute properties but still getting the old value only. Are you getting the old value after a restart or even when not restarting the server ?